The Roads and Transport Committee in the Gauteng Provincial Legislature is deeply concerned about the ongoing strike affecting the Gautrain operations and services. On Wednesday the committee received news reports that the wage talks between operating company Bombela and United National Transport Union (UNTU) have deadlocked at the Commission for Conciliation, Mediation and Arbitration (CCMA). 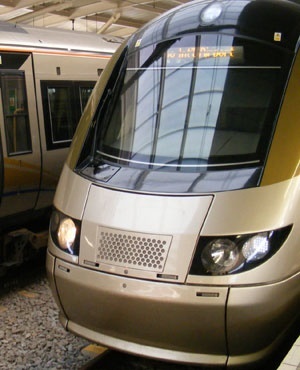 "This prolonged strike by the workers in the Bombela concessionaire is now entering its 10th day and it’s affecting all those involved, including the commuters who rely heavily on the Gautrain service to get to work," the committee said in a statement on Thursday. The committee called upon the parties involved in the bargaining council to speed up the negotiation process on the demands made by Bombela workers as the impasse is negatively affecting the Gautrain workers and the mobility of Gautrain passengers. "All those affected by this strike play a critical role in strengthening the status of Gauteng as the economic hub of the country," the committee said. It will, therefore, urgently seek a meeting with the MEC Ishmael Vadi and the Gautrain Management Agency (GMA) CEO Jack van der Merwe to find ways of addressing what the committee regards as an urgent and critical matter. The committee said it "has every right to be deeply concerned about this impasse" between the UNTU and Bombela because the committee is empowered by the Constitution to hold the Gauteng Department of Roads and Transport, as well as it’s entities, accountable through its oversight, law-making and public participation mandates. "These mandates are carried out to ensure that the executives in the department and its entities deliver on their respective mandates in relation to transport infrastructure, transport operations, transport regulations competencies in the Gauteng Province," the committee said. In addition to these oversight roles by the committee relating to the Gauteng Roads and Transport Department, the committee is also empowered by the Constitution to oversee the Gautrain Management Agency (GMA), which is responsible for Gautrain rail operations through Bombela. Fin24 reported on Wednesday evening that Bombela said in a statement that the Gautrain will operate on Thursday (Women's Day) with a reduced service during peak periods, as the strike continues. Services are being extended, though, as some non-unionised employees are returning to work. A train service on the public holiday will be available every 40 minutes between OR Tambo International and Sandton stations, stopping at Rhodesfield station. Trains will operate between 05:40 and 09:40; and between 15:20 and 19:20 - the afternoon peak period will, therefore, be extended to begin at 15:20 instead of 16:00. A bus service will also be available every twenty minutes from 10:00 to 15:00 between the airport and Sandton stations. A train service will be available every 40 minutes between Pretoria and Park station, stopping at Centurion, Sandton and Rosebank. Passengers travelling from Pretoria to Park station or from Park station to Pretoria stations will no longer be required to change trains at Sandton. Trains on this popular route on the public holiday will operate between 05:40 and 09:40 and between 15:40 and 19:40. As of Friday, the Midrand station will be open during peak hours and trains will be available every 15 minutes. The afternoon peak period will be extended to begin at 15:30 instead of 16:00.